This week I have a couple of painted die cut cards to share. 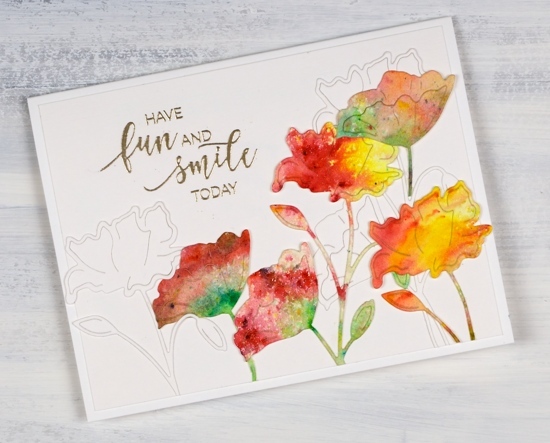 To create this one I first sprinkled leaf green, sunburst yellow and rose red brusho over a piece of hot pressed watercolour paper and spritzed with water to activate the paint. The colours did blend together a little but I was able to keep some distinct red, yellow and green areas. 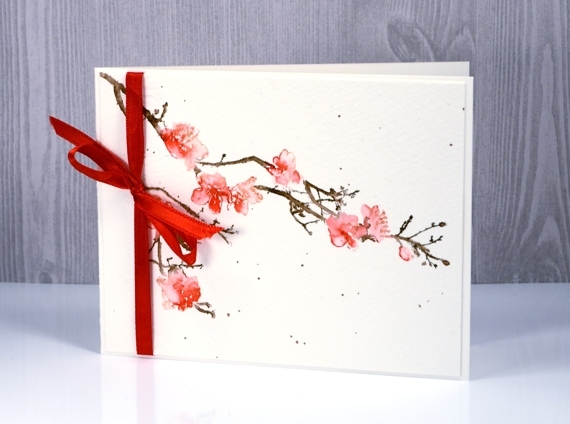 Once dry I used the ‘bodacious’ die from Penny Black to cut several flowers. I also cut white flowers with the same die. When creating my layout I glued down a few white diecut flowers first then coloured ones over the top. I trimmed stems and buds so I could arrange the flowers at different heights and facing different directions. I embossed a sentiment from the ‘smile today’ set in platinum, trimmed the white background panel and attached it to a white card base. I have another card that utilises brusho experiments. If you have delved into the magic of brusho you probably have a pile of pretty brusho panels you don’t know quite what to do with. Experimenting with brusho is a bit addictive so it is rather easy to keep trying colour combinations with no project goal in mind. 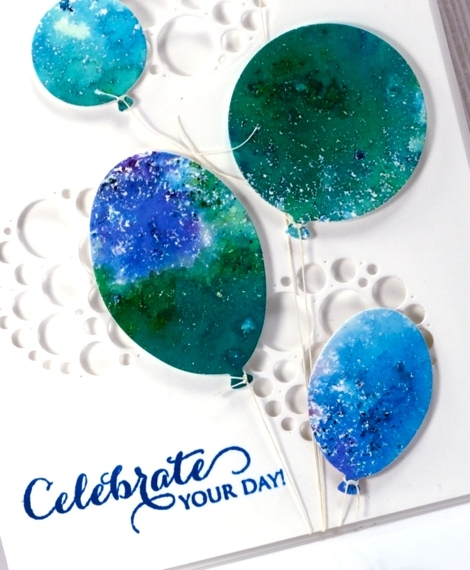 I decided to put a scrap of green, blue and purple brusho ‘mosaic’ to use as balloons. By brusho mosaic I mean the effect I get when I spritz over the sprinkled brusho only enough to activate it but not send it flowing all over the paper. 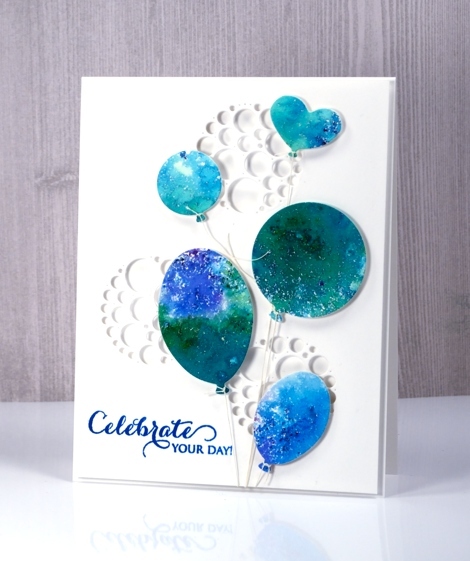 I used the ‘uplifting’ dies from Penny Black to cut out five balloons then added adhesive backed foam to each one. I cut circles of circles out of a panel of neenah solar white cardstock to create a background panel then cut circles from a piece of foam to position behind the panel so shadows would show inside the circles. 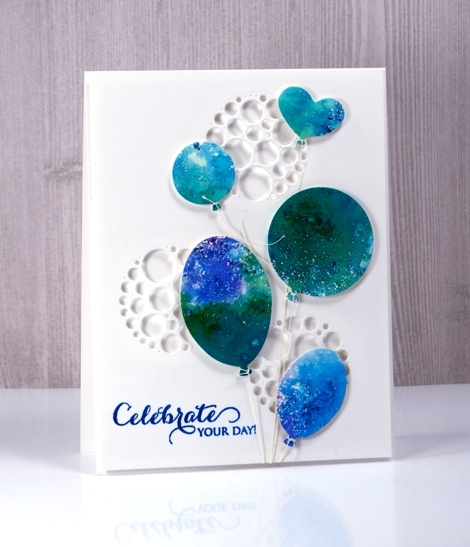 The circles of circles are part of a new PB die set ‘stencil cut’. I tied a linen thread to each balloon and tucked the other ends under the background panel. The thread tying took me close to my fiddliness factor limit but I persevered and assembled the layers and added a sentiment. 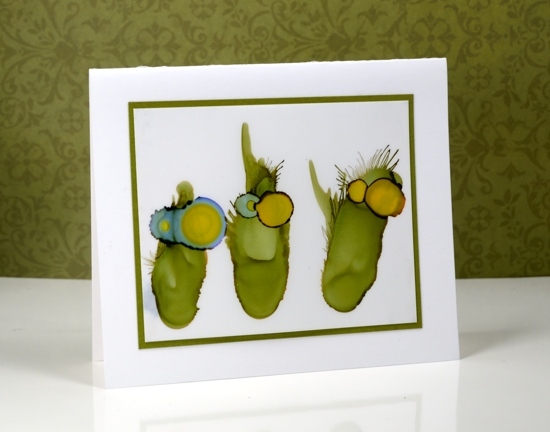 This happy card would work for any celebration so I am adding it to the Casology challenge this week ‘Commencement’. It’s been all about the colorburst and brusho powders with me lately so I thought it was past time to share the other watercolour powder in my life, bister. 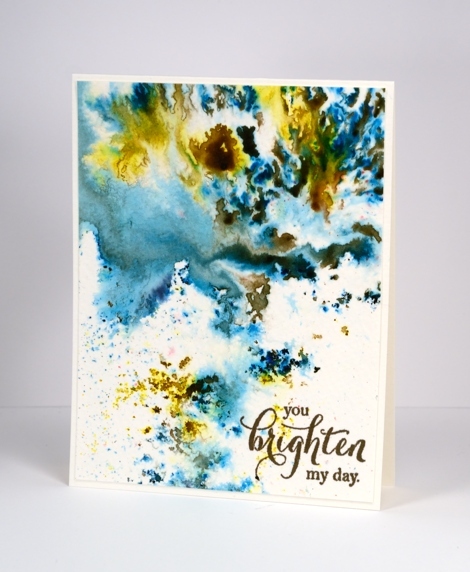 The concept is the same with bister; you add water and colour bursts out. The colours in the bister range are more earthy than the other brands and the crystals are, on the whole, coarser. The effects are just as magical as you can see on this panel. 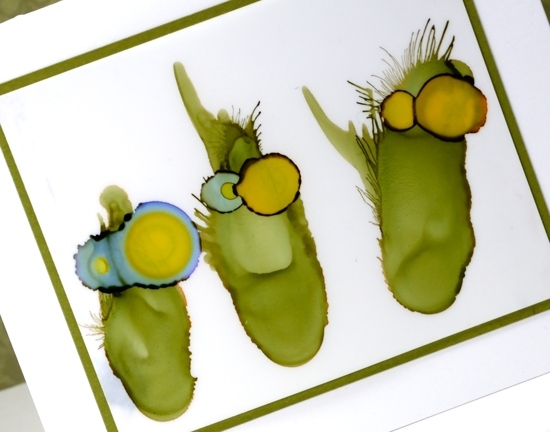 I think this panel is from my initial experimenting with watercolour powders. 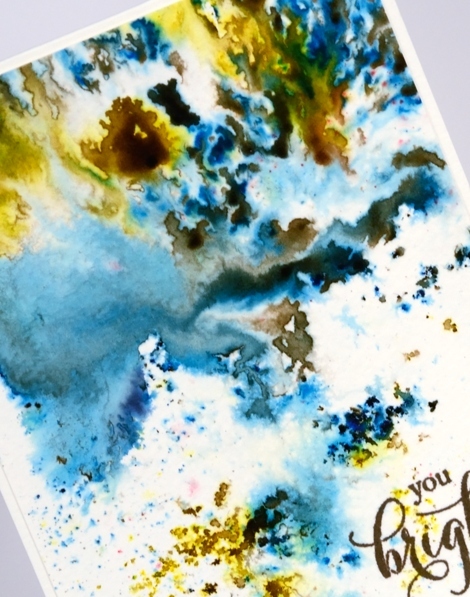 I really liked how the colours moved on the cold pressed watercolour paper but for a long time I didn’t have a plan for the abstract panel. Eventually I realised it didn’t need a plan; it was a stand alone! I added a sentiment and popped up the panel on foam to give it a ‘shadow frame’ and that is the card. This panel shows the versatility of watercolour powders quite well. By varying the amount of water added you can get small intensely coloured shapes which I think look a bit like mosaics, you can get soft washes and some patterning in between the two extremes. 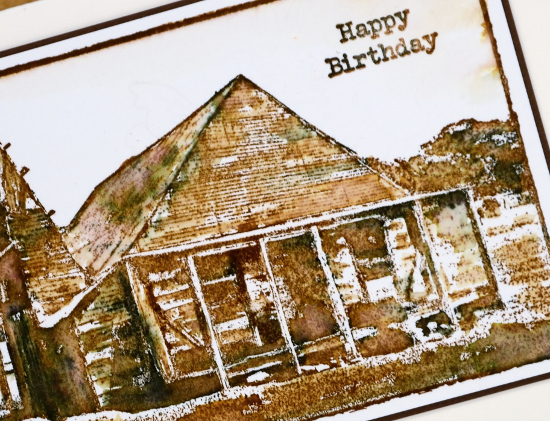 I waited to hear from my dad before I posted this card on the blog. It was mailed to him a few weeks back but the postal service is an unpredictable animal so I had no idea when it would arrive in Australia. On the same day I mailed a package of cards to my mother for her to use. I intentionally did not put my dad’s birthday card in as I was sure a package would arrive later than a single card. Not so. A birthday present posted in the other direction from my parents to me was sent airmail but arrived almost 2 months later. As my mum would say, ‘You just never know!” A large and precious parcel arrived for my family on Friday sent by my father the previous Tuesday. Three days! So it is possible. But enough about the postal service. 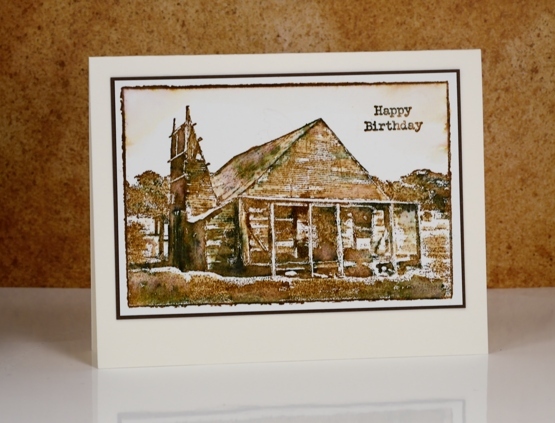 This rustic homestead card is made with a stamp from Darkroom Door. When I was in Australia late last year I visited Rachel Greig and Stewart Yule, founders and owners of Darkroom Door and was treated to a behind the scenes tour of the stamp making process. 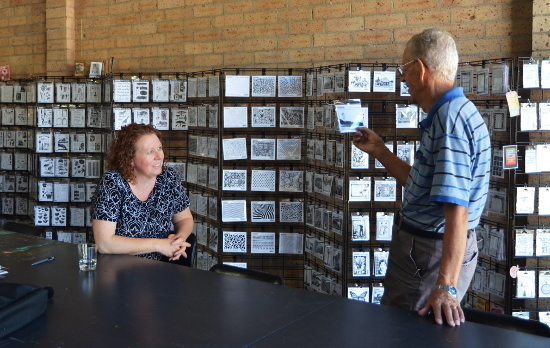 I spent a wonderful morning talking with Rachel about a range of creative topics including my introduction of classes using Darkroom Door stamps to my teaching schedule. I am so grateful for Rachel’s support of my classes, as are my students! When my dad came to pick me up he browsed some of the stamps on display in the studio. Two in particular caught his eye, the one in his hand above featuring the Norah Head lighthouse that he and I toured the following week and the one on this birthday card. 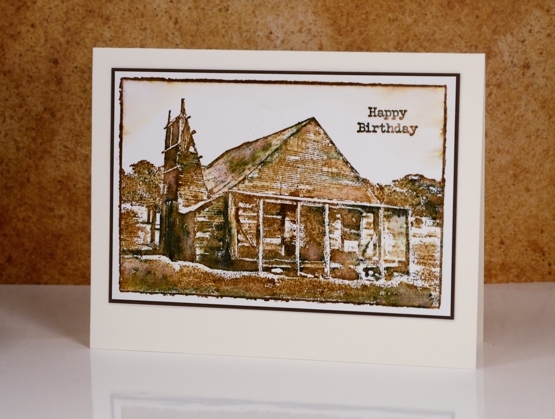 This homestead is representative of older farm buildings that dot the Australian country side. The corrugated iron on the roof is something I rarely see in Canada but common in Australia. 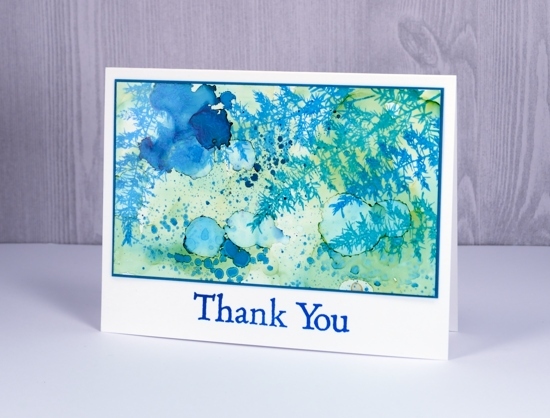 I chose to stick to a vintage colour scheme stamping in vintage photo distress ink and black elegant writer pen. 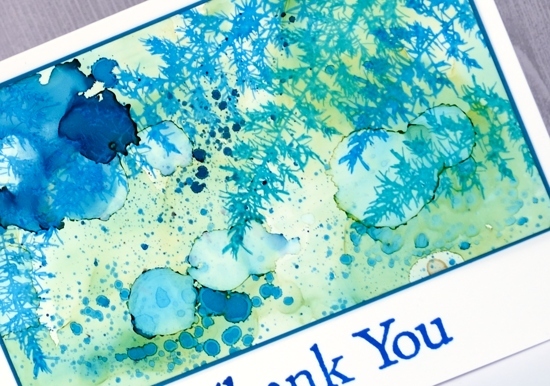 I blended parts of the stamped image with water to bring out the shadows. This card seems all the more appropriate this week as the precious parcel I mentioned earlier contained my father’s memoir written over the last few years about his and my mother’s life experiences and organised into chapters by ‘homesteads’. I’ve been wanting to watercolour this image ever since I stamped it as a black silhouette on an earlier card. The details are fairly small so I kept a light hand with the ink and used a stamp positioner so I could add colour little by little. 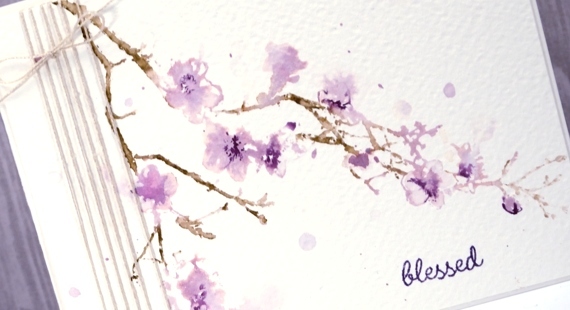 On a piece of cold pressed watercolour paper I stamped first the blossoms in spun sugar distress stain, then added little dots of festive berries stain and blended with a small watercolour brush. I inked the stems with a gathered twigs distress marker then, after stamping blended on the paper, again with a fine tip brush. I added gathered twigs stain splattered around the blooms. I chose not to add a sentiment but pulled out some ribbon to complete the card. 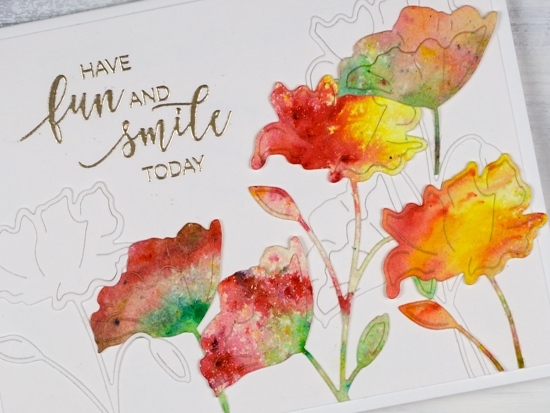 The technique for this one was almost the same but I used rough watercolour paper and more water so the blooms are more like blobs in some places. It’s more of an abstract look. This one I finished off with bookbinding thread and a sentiment. 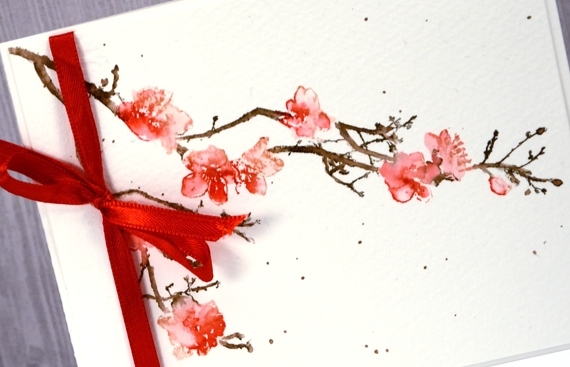 Both cards are very simple but I felt that a delicate stamp called for a delicate card.